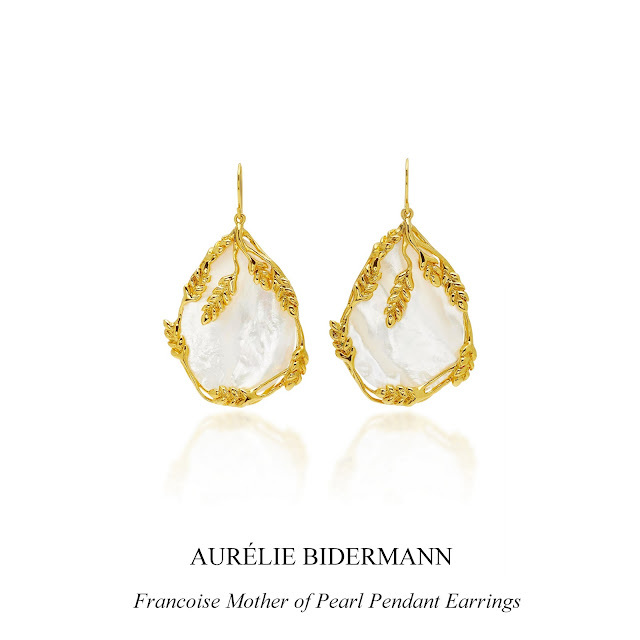 the Francoise Mother of Pearl pendant earrings. Aurélie Bidermann is the woman and the earrings are part of her SS 18 collection. For style in an instant, keep them in mind.